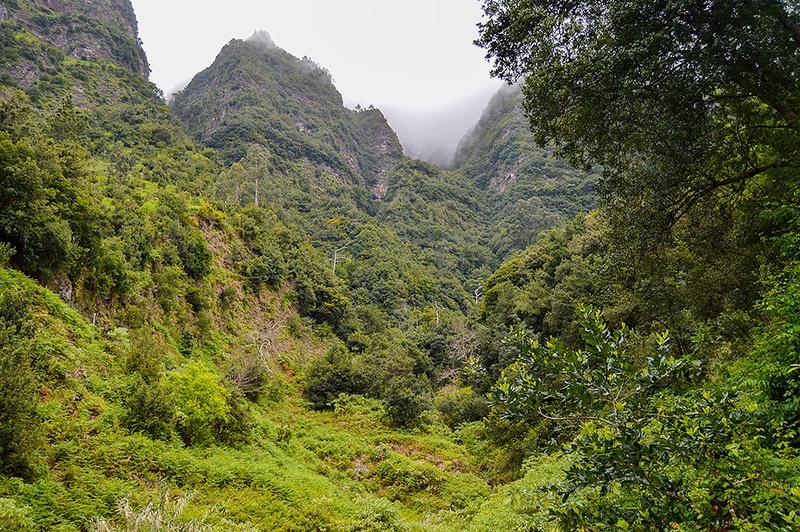 Images of Madeira’s fascinating natural ecological reserve and protected areas, discover its beauty and the Laurissilva Forest, which has been classified as World Heritage by UNESCO. 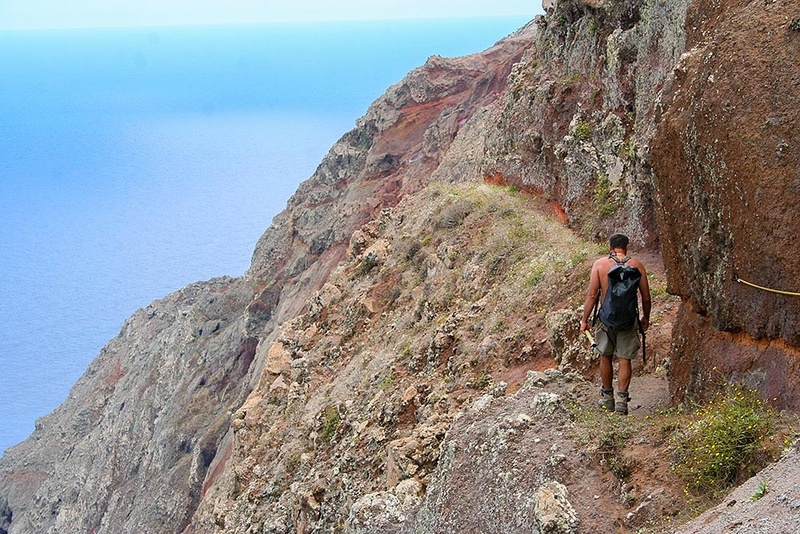 The workstation of the Parque Natural da Madeira (the body that supervises the nature reserve) is at Fajã Grande. 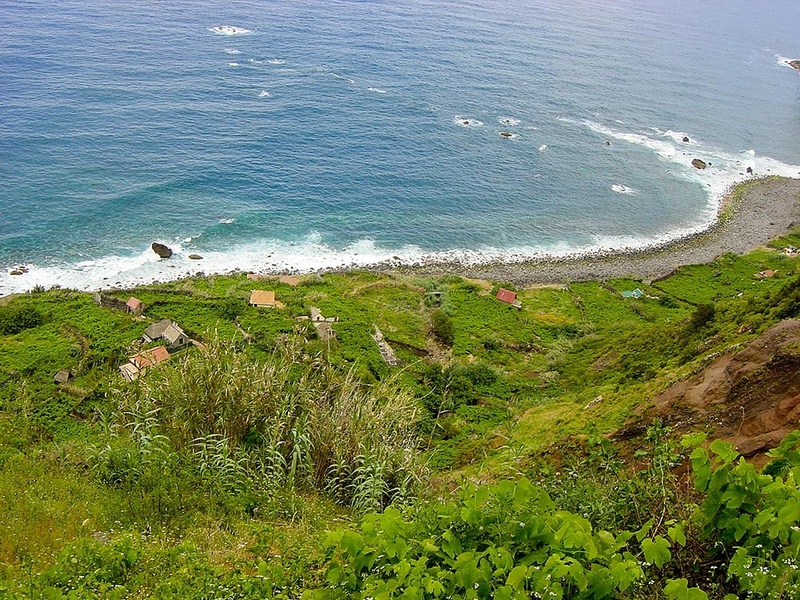 Fajã means piece of fertile land consequence of a landslide and this one formed in 1984. 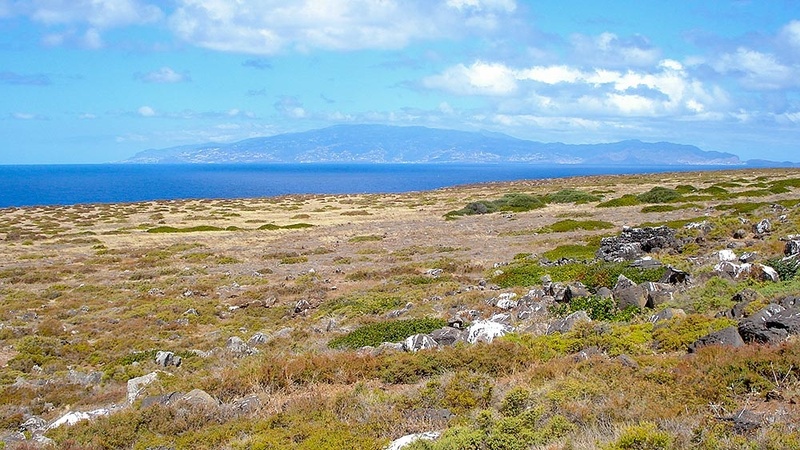 It is now a natural harbour and the official anchorage of the reserve. The Castanheira Valley is home to the Desertas Wolf Spider, a species of spider which is endemic to Madeira and that can become as big as a hand. It is considered the largest wolf spider in Europe. The Desertas coastline is almost 37700 meters long and has steep cliffs that are almost inaccessible. As one navigates around the islets one can see many caves formed by sea erosion and several sand and pebble beaches. 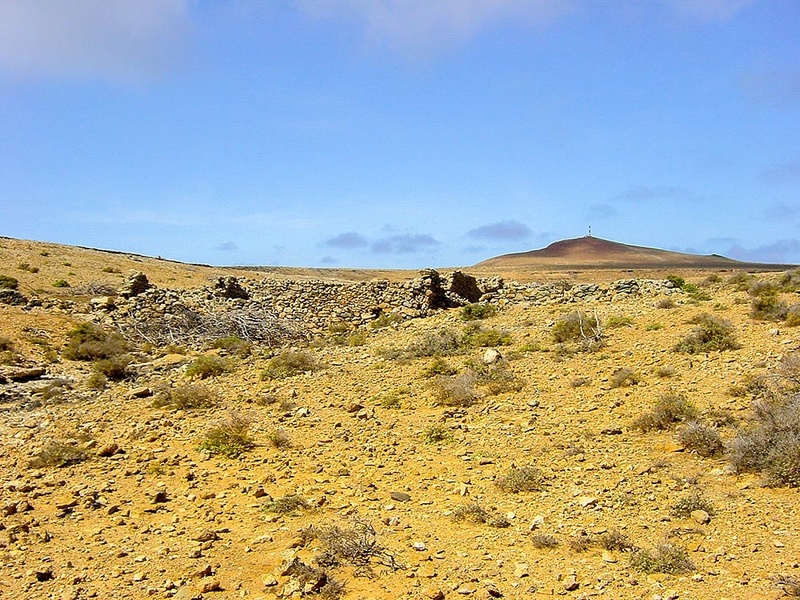 The Desertas are made up of three islets (Ilhéu Chão, Deserta Grande and Bugio) all of volcanic origin that formed 3.5 million years ago. 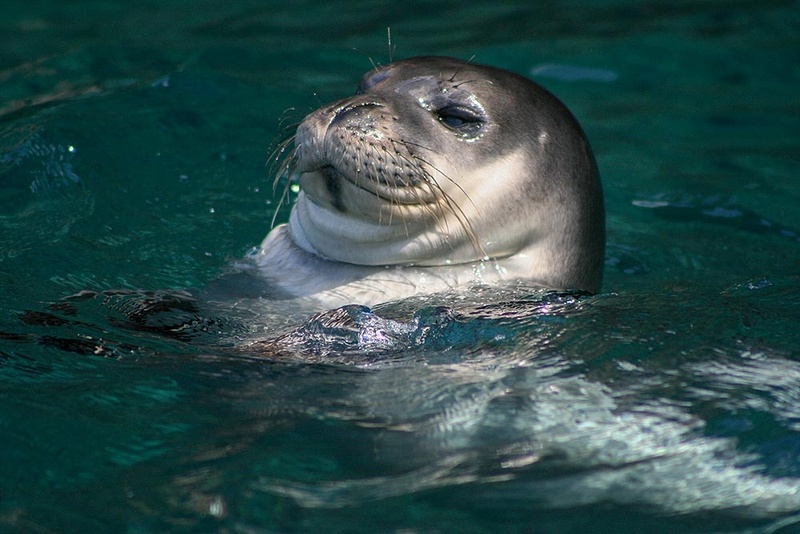 Classified as a Nature Reserve since 1995 they have a unique natural heritage filled with rare and endemic species, of which the one that gets most attention is the Monk Seal (Monachus monachus), considered the rarest seal in the world. 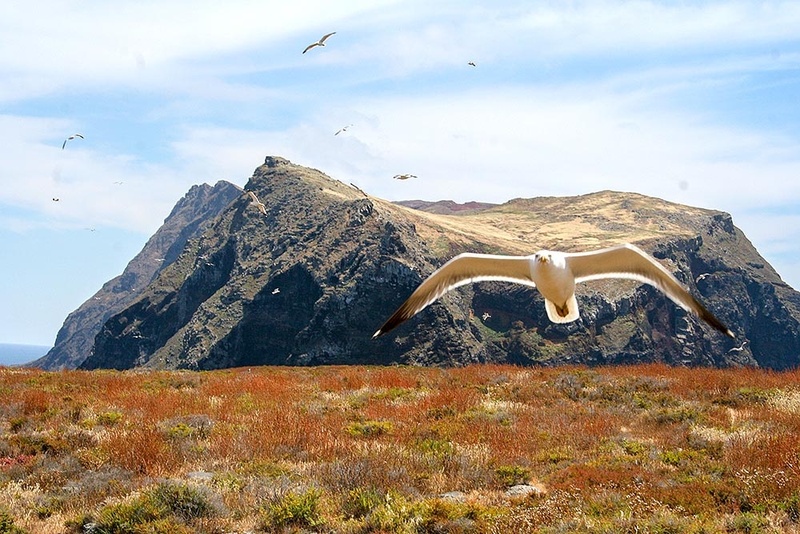 The Desertas are an important nesting ground for many seabirds due to their inaccessibility and the relative absence of human intervention. 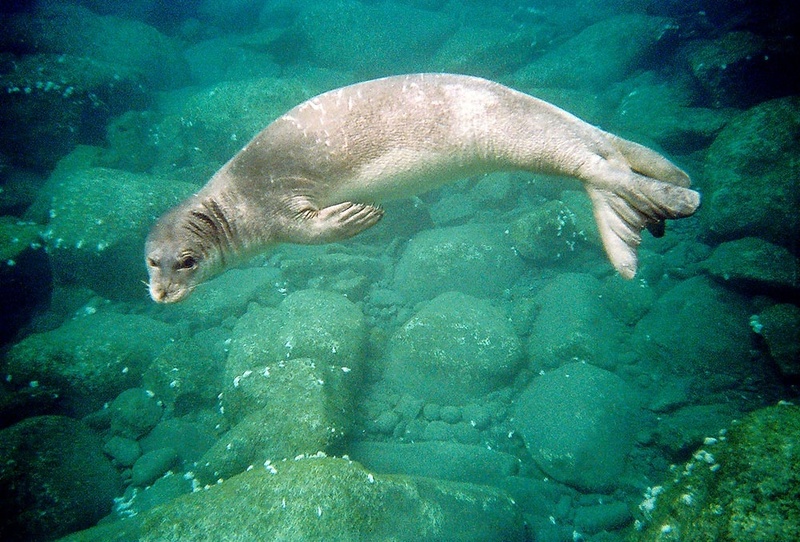 Considered the rarest seal in the world, it is the ‘star’ of the reserve and one of the main reasons that the Desertas were classified as a Nature Reserve. Nowadays the colony has about 30 individuals (there are only 500 in the world) and they are prospering in the Madeira waters. 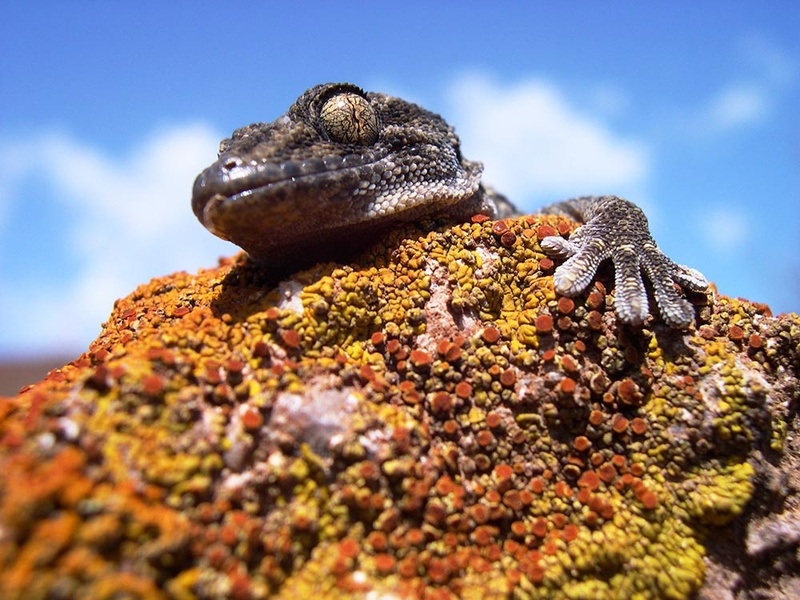 The Selvagens Wall Gecko is a species endemic to these islands. It lives in rocky habitats and is not a threatened species. One of its main characteristics is its ability to climb vertical smooth surfaces, including glass. 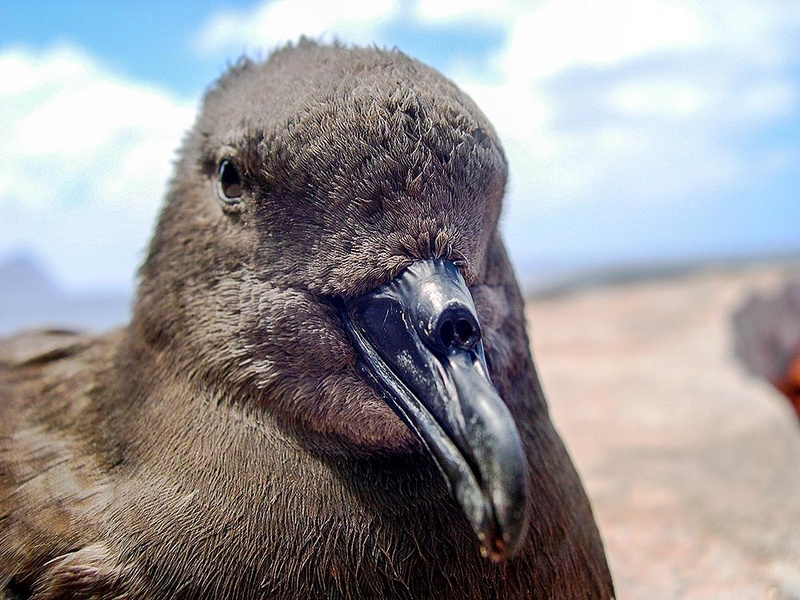 The biggest colony of Cory’s Shearwaters in the world, about 18 thousand couples, breeds on the Selvagens. 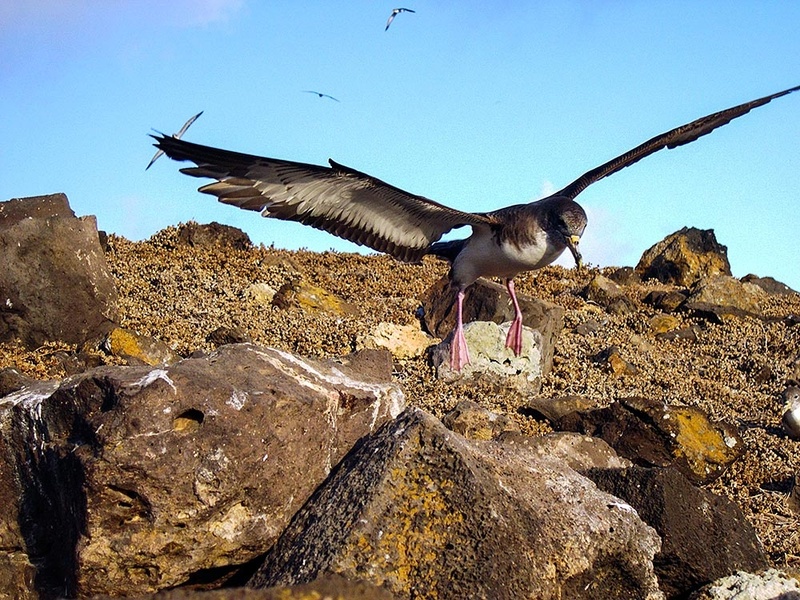 These pelagic birds nest on small islands and sea cliffs where they build their nests in holes in the rock face or under large stones. 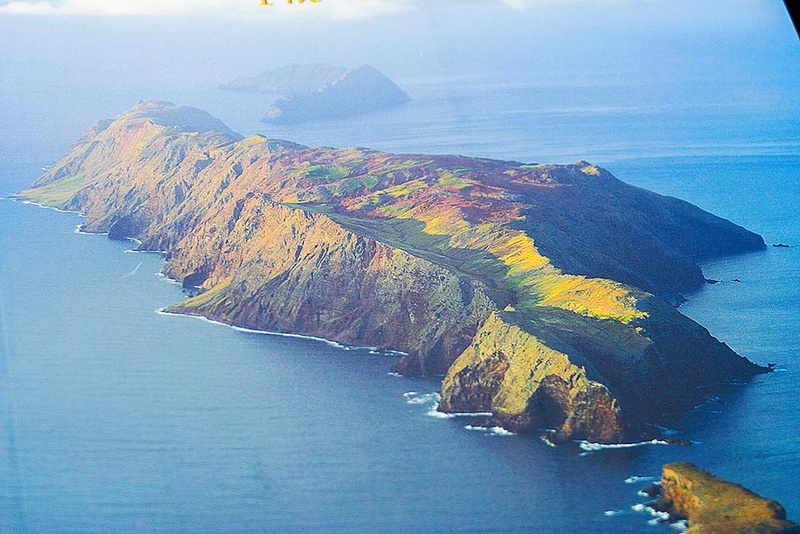 Their territory stretches from Madeira to continental Portugal, the Azores and the Canary islands. 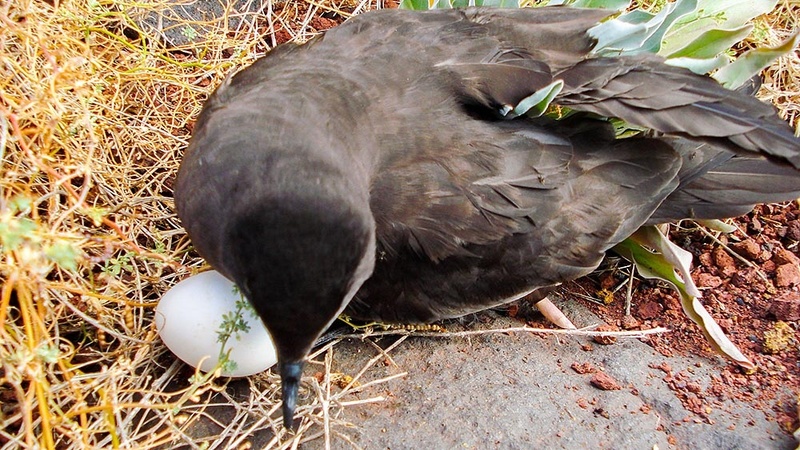 A protected species, Fea’s Petrel (Pterodroma Fea) is a macaronesian seabird that only nests on the Ilhéu do Bugio in the Desertas and in Cabo Verde. 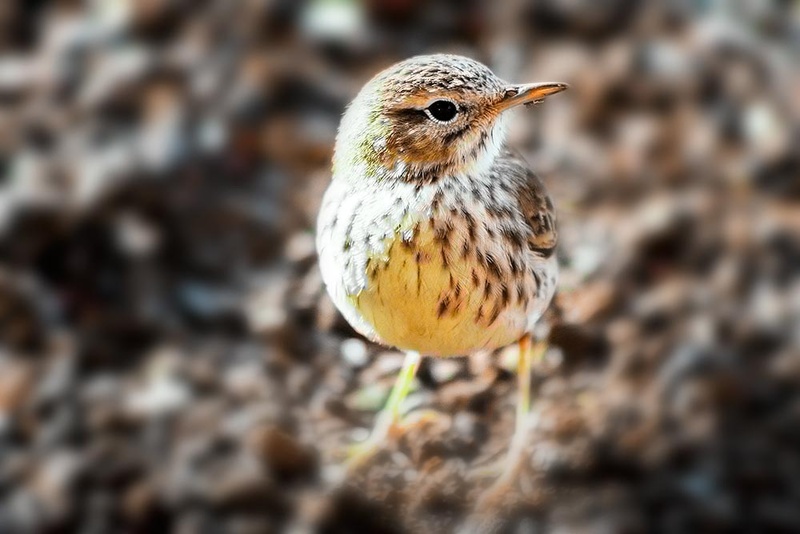 It builds its nest in holes in the rock face or it digs them in the soil. This is the only bird that can be seen all year round in the Selvagens. 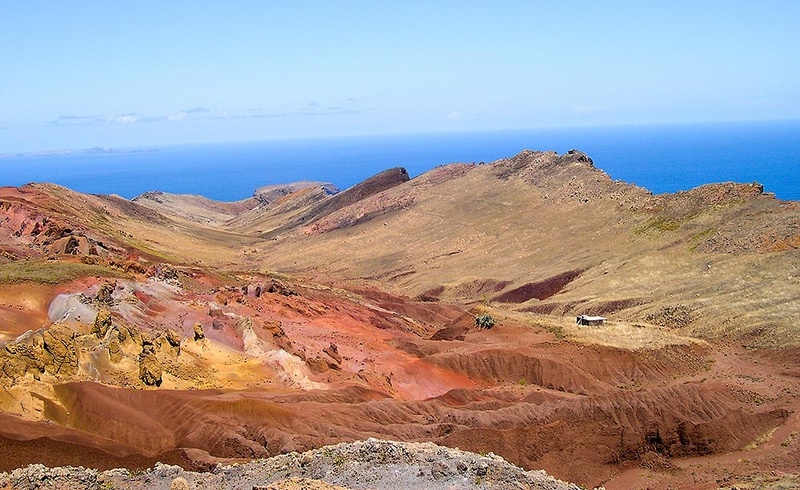 It is the same as can be found in the Canary Islands but it is different from those found on Madeira Island. 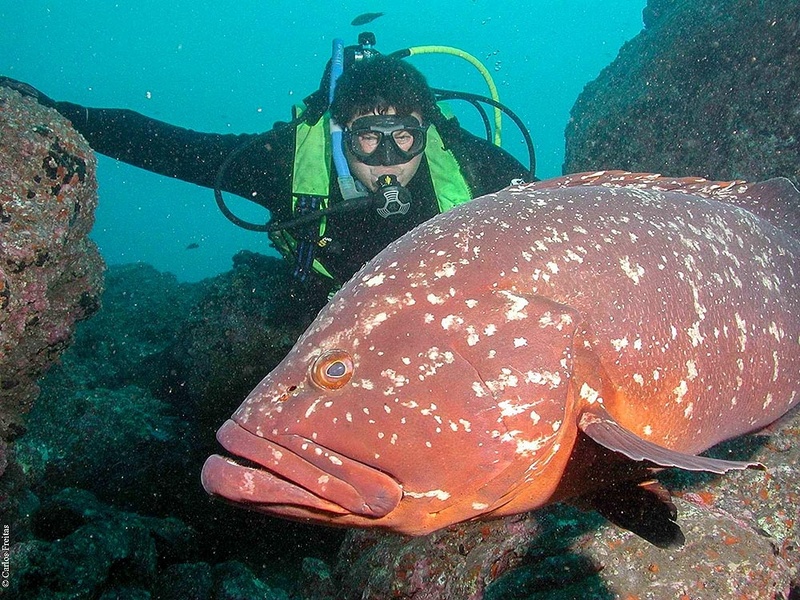 This friendly fish which approaches divers without fear and can weigh as much as 65kg is one of the symbols of the Garajau Nature Reserve. 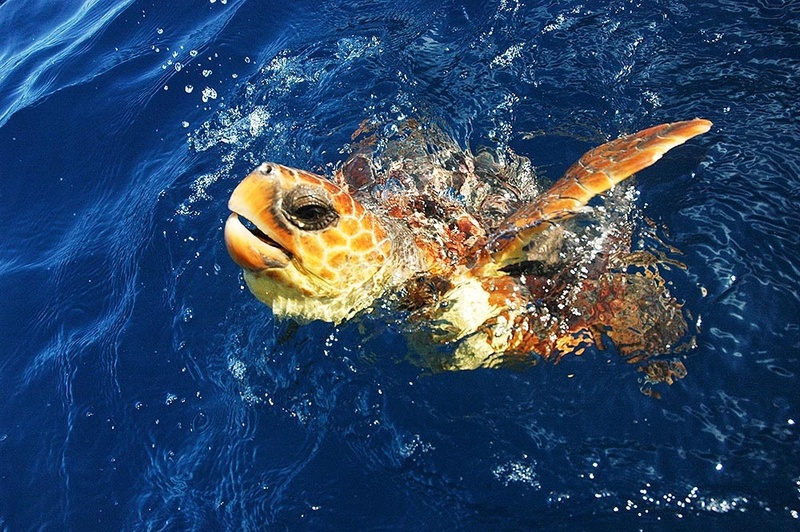 It is the reserve’s main attraction because it is so docile and comes to eat from divers’ hands. 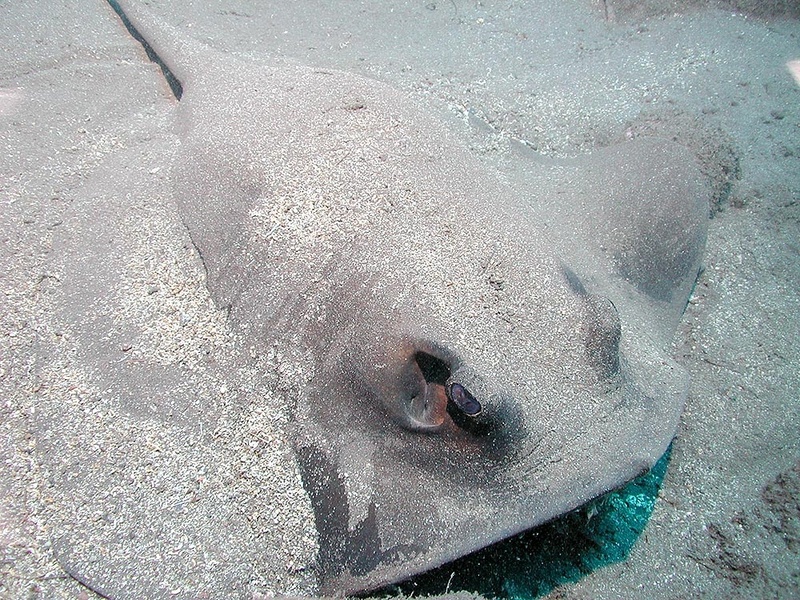 This friendliness almost got it extinct because of spear-fishing. 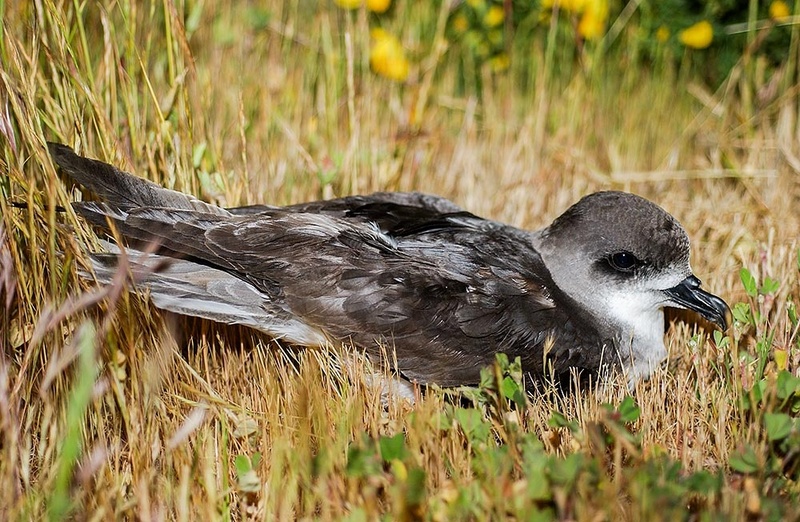 Nowadays it is on Portugal’s list of threatened species. 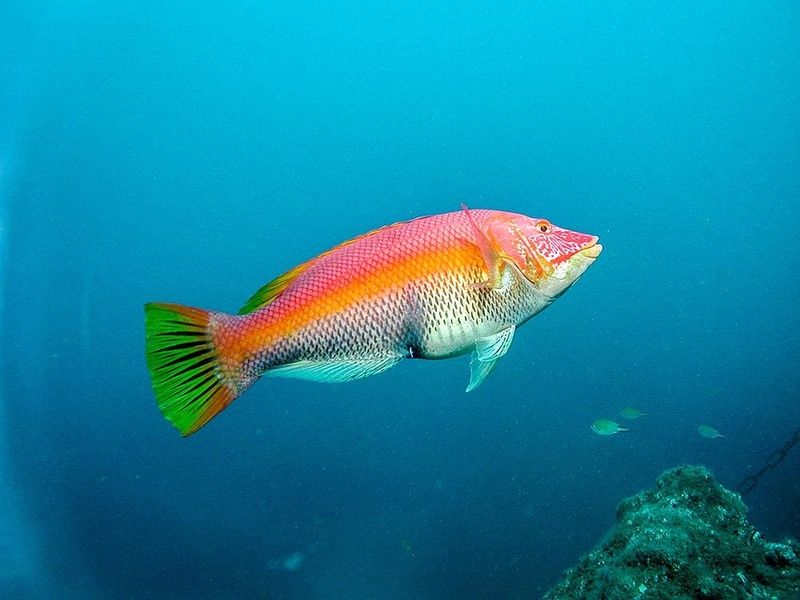 The barred hogfish is only one of many fish species that can be found at the Garajau Nature Reserve. This brightly coloured fish has great commercial value, the male being usually more colourful than the female. 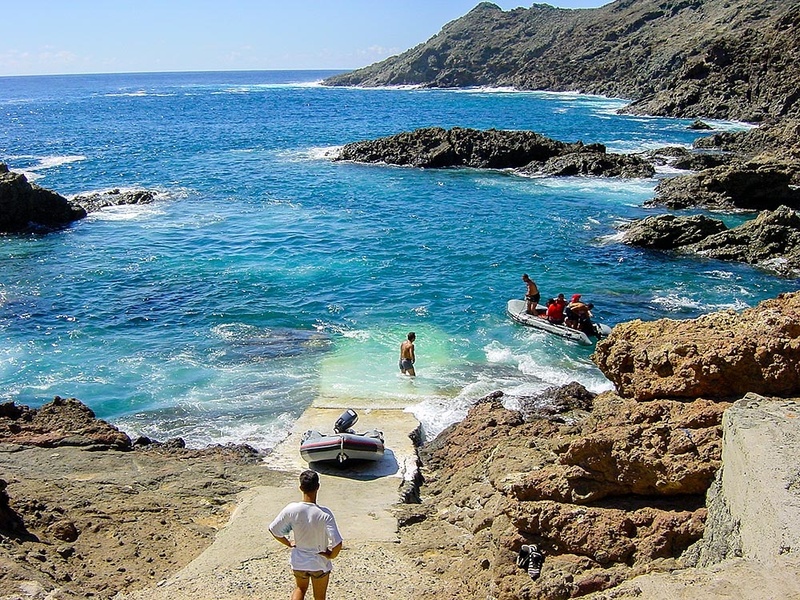 Discovered by Portugal in the 15th century the Selvagens (Savage islands) suffered several colonization attempts, which failed due to the lack of drinking water and the unwelcoming nature of the islands. They were private property until 1971 when they were bought by the Portuguese government and made into a reserve. 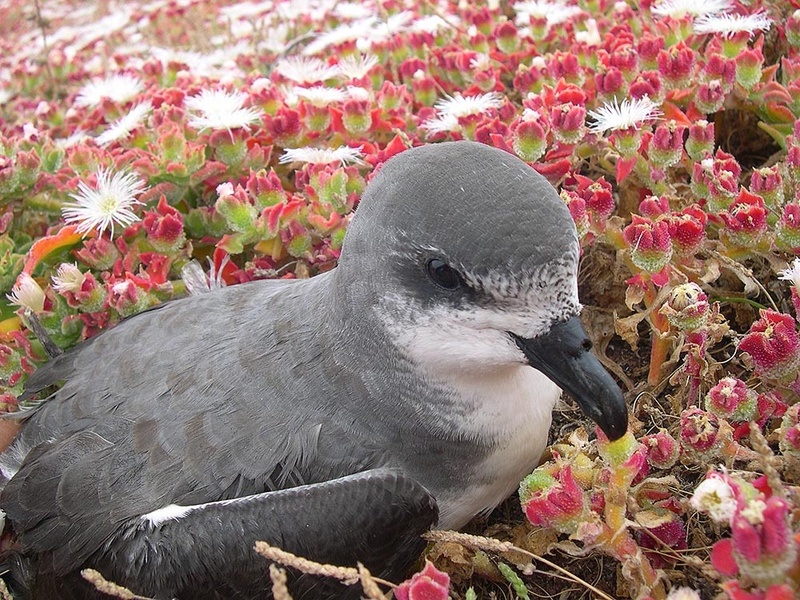 They are made up of three islands (Selvagem Pequena, Selvagem Grande and Ilhéu de Fora), which are a sanctuary for nesting seabirds. 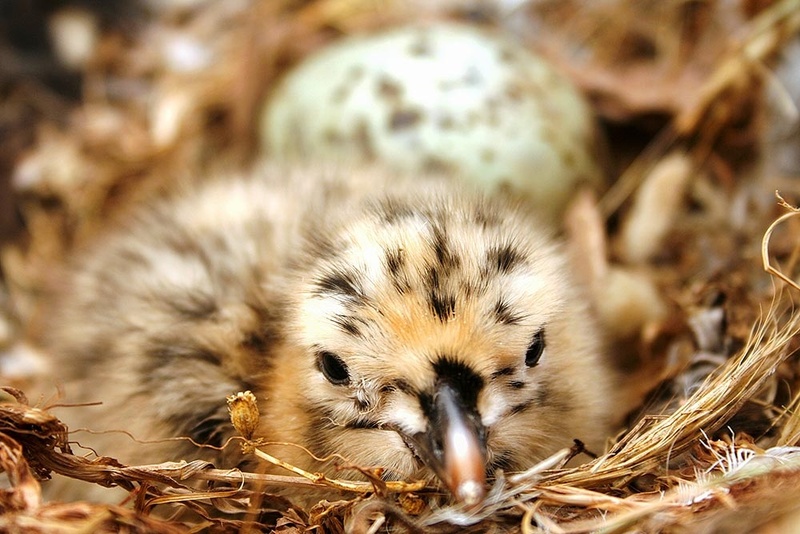 The difficult access and the absence of mammals make these islands ideal for breeding birds. 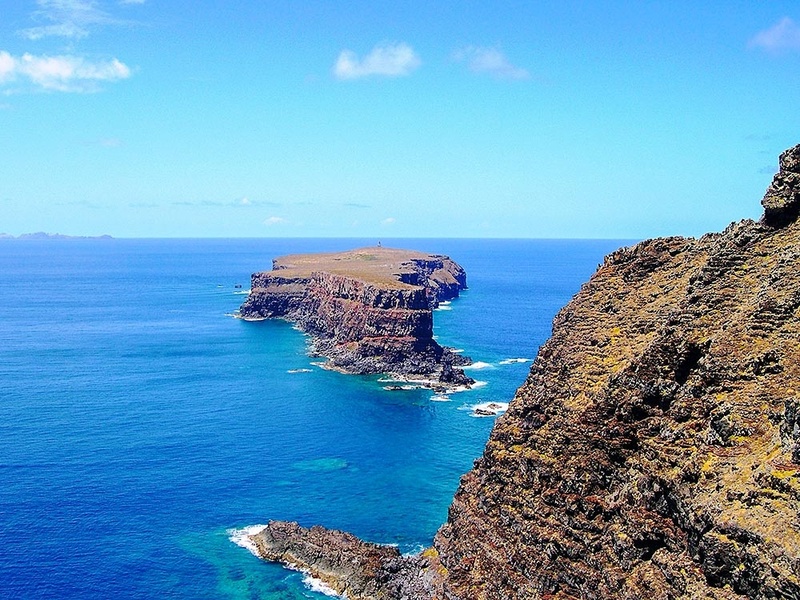 Legend has it that the name of this area is as old as 1420 when Madeira was discovered and is due to someone on Henry the Navigator’s ship having yelled “Oh St. Lawrence, arrive!” when they came round the easternmost point of Madeira. 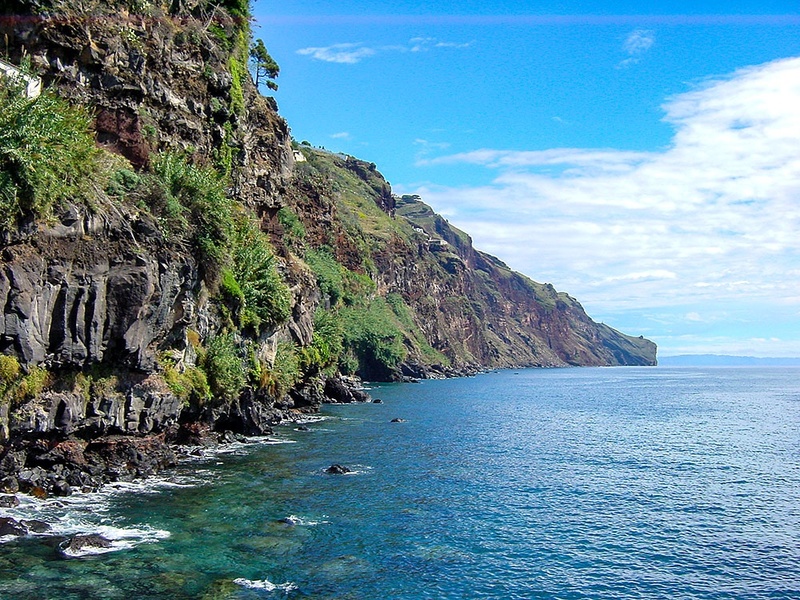 This area is completely different from the rest of the Island of Madeira with high sea cliffs and lots of caves and beaches on the coastline. It also has a black sandy beach called Prainha, which is very popular with bathers in the summer. 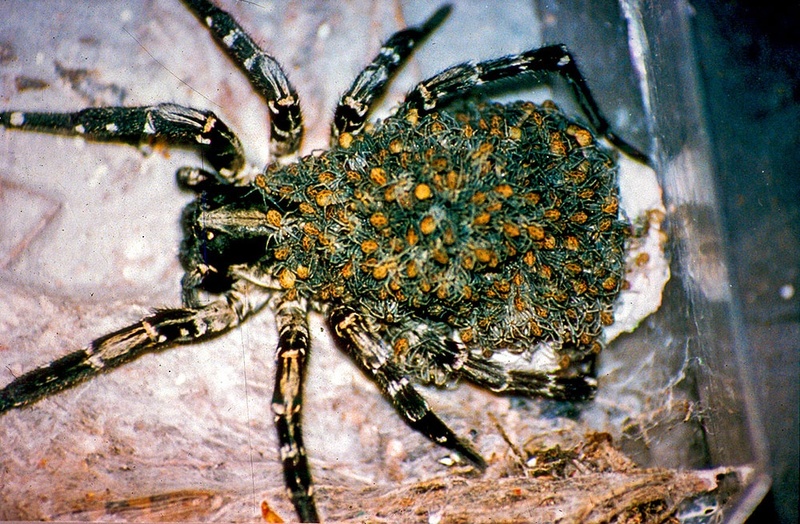 The Desertas Wolf Spider (Lycosa ingens), shown here with its young, is a species, which is endemic to Deserta Grande, more precisely the Castanheira Valley, where it hides under rocks and stones. 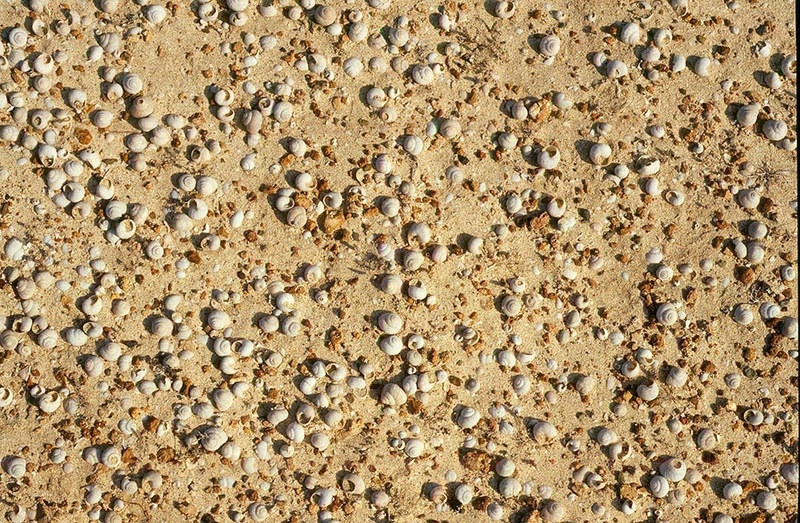 There are about one thousand individuals and they can become 12cm between legs. These spiders are cannibals so it is believed that not many reach adulthood even though broods are 100 to 200 young strong. 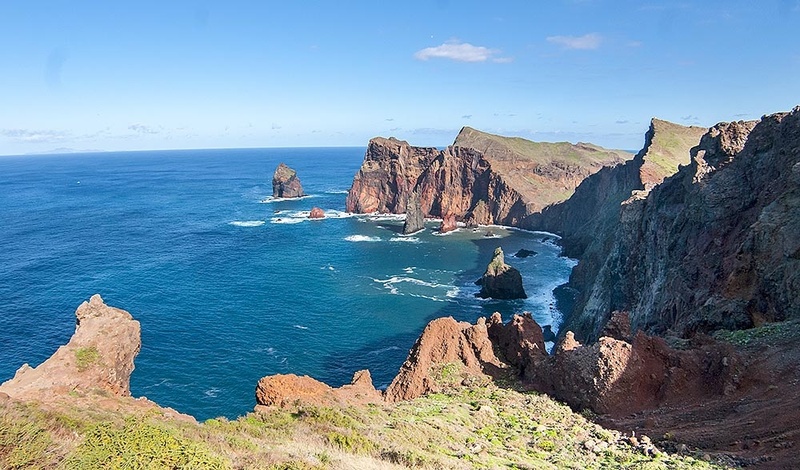 The Garajau Nature Reserve, created in 1986, was the first marine nature reserve in Portugal. 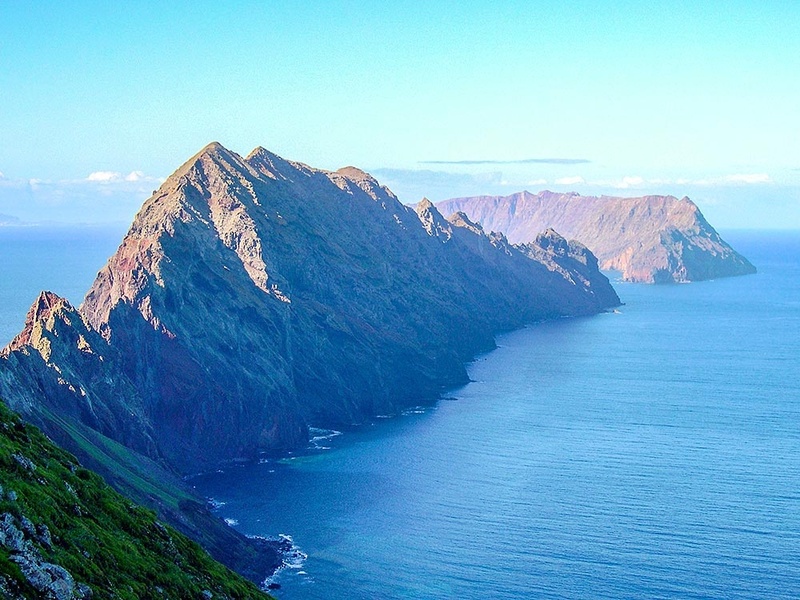 It was created to protect this privileged area of the Madeira coastline and to contribute to the repopulation of these seabeds that were becoming despoiled due to overfishing. These waters are very rich biologically. 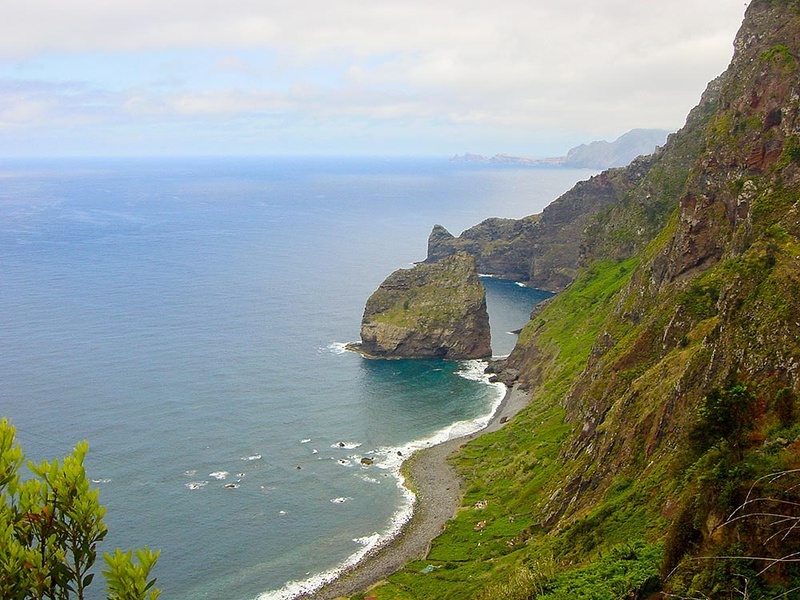 Laurissilva is the name of the natural forest of Madeira and that long ago could be found in large areas of Europe (Central and Mediterranean Europe and North Africa). 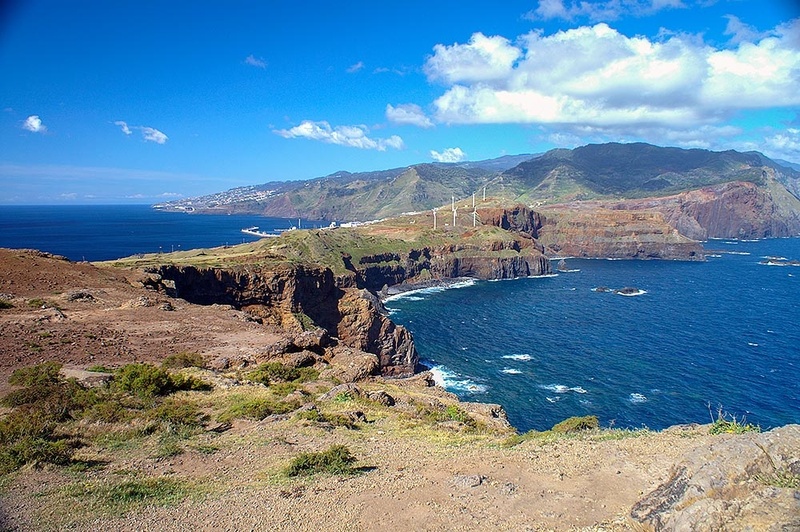 When the Portuguese discovered Madeira the Laurissilva covered most of the island but nowadays it is almost exclusively on the north side between the altitudes of 300 and 1300 metres. This subtropical forest has great importance from a botanical and scientific standpoint and that is why UNESCO classified it as World Heritage.